It’s easy to see why the show attracted such scorn. Alana’s family is like a lazy liberal’s stereotype of Southern whites. As the series opened, Alana’s mother June was about to become a grandmother at 33. None of her four daughters are from the same father, and she’s unmarried, though she has been together with Alana’s father Sugar Bear for eight years. June is on disability. They eat spaghetti with a sauce made from ketchup and butter. Someone is heard farting in the opening credits. It was widelyreported that the show got better ratings than the Democratic and Republican national conventions, and though that wasn’t actually true, it aligned nicely with our existing stereotypes about the great unwashed. Even more notable, however, was the show’s attitude toward homosexuality. Alana first appeared on the TLC show “Toddlers and Tiaras,” which was widely condemned for exploiting its underage pageant contestants but slowly gained an audience that appreciated its campier aspects. (“What’s draggier, ‘Toddlers and Tiaras’ or ‘RuPaul’s Drag Race’?” asked EW in 2010.) “Honey Boo Boo” returned this affection. On the first episode, Alana is given a male piglet and slaps a tiara on its head to, she says, make it gay; when her older sister objects that the pig can’t be gay, Alana yells, “It can if it wants to. You can’t tell that pig what to do.” And in the season finale, we meet Alana’s gay uncle, about whom Alana shouts, “Ain’t nothing wrong with being a little gay. Everybody’s a little gay.” The moment was swiftly autotuned and has become a minor online hit. Among all the easy jokes, it’s now equally easy to find serious excitement about “Here Comes Honey Boo Boo” online. At TV Hangover, Ryan Broderick writes that the show gives us a vision of the kind of people who “the news shows holding signs outside of abortion clinics” as “just people.” Even more so, it imagines that we followed those people home and discovered that we agree on a lot of issues, even highly divisive ones like gay rights. In a political culture that’s at historical levels of polarization, this is comforting. Our culture seems to define our party identification—conservative Southerners, liberal Northeasterners—which makes the possibility of change seem remote: If to be Southern and white is to oppose rights for women, gays, and minorities, then the persistence of Southern culture necessarily means the perpetuation of such intolerance. 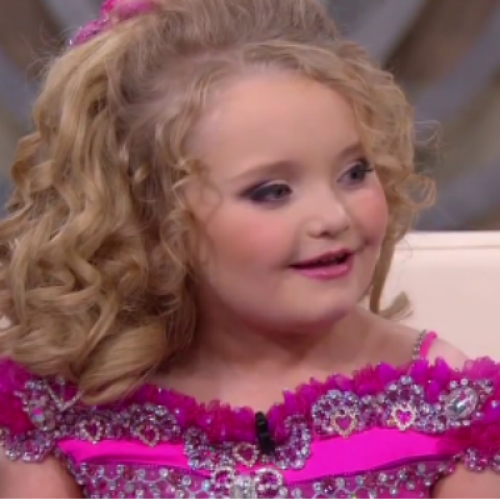 “Here Comes Honey Boo Boo” suggests that this isn’t necessarily so. Alana and her family can be enthusiastic rednecks (a word they use to describe themselves) while still being casually tolerant. We can come together while maintaining our differences. It feels far more earned than similar expressions of tolerance you’ll find on other shows. It’s hard to see much of yourself in the Cleaver-clean houses of the gay doctors and lawyers on sitcoms like “Modern Family” and “The New Normal.” The sitcoms use their fictional advantage to construct a situation that’s almost too perfect, loading the deck in favor of gay rights by presenting characters that are mostly flawless. These shows make the easy demand that we accept gay parenting in well-to-do professional couples, extending tolerance only an inch beyond what we already grant, whereas on “Here Comes Honey Boo Boo,” Alana asserts the fluidity of gender roles while putting a tiara on a piglet. Of course, none of this is strictly accurate. On the one hand, Alana exhorts some gnats to “go back to Africa” in the same episode she asserts the normalcy of being gay, and on the other hand there are lots and lots of white Southern liberals who are plenty tolerant. Our differences are too structural and persistent to be overcome by even the loudest of six-year-olds. But sometimes art’s political value is not in its ability to educate but its ability to sympathetically depict the experience of people whose humanity we might otherwise discount. Showing the possibility of tolerance in people it’s easy for liberals to be intolerant of, “Here Comes Honey Boo Boo” gives us a political fantasy of the best kind.